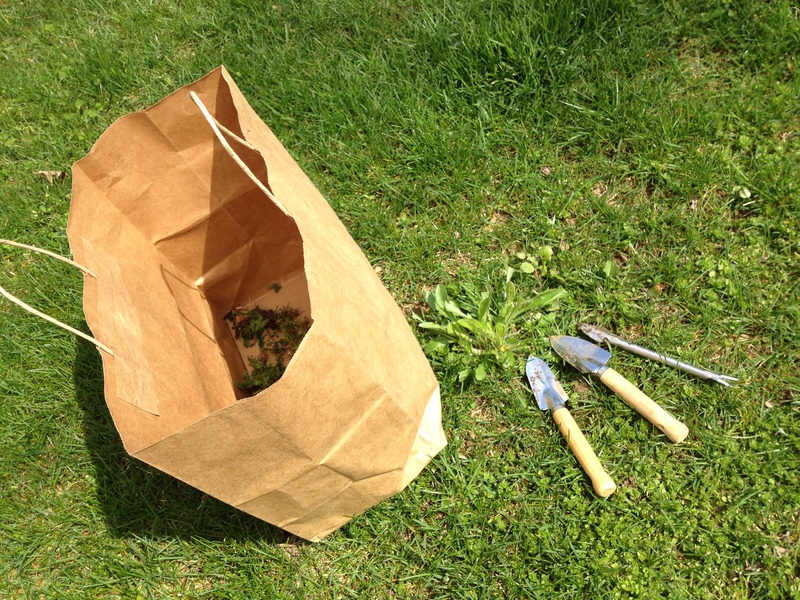 It’s a beautiful day today — perfect for some much needed yard work. 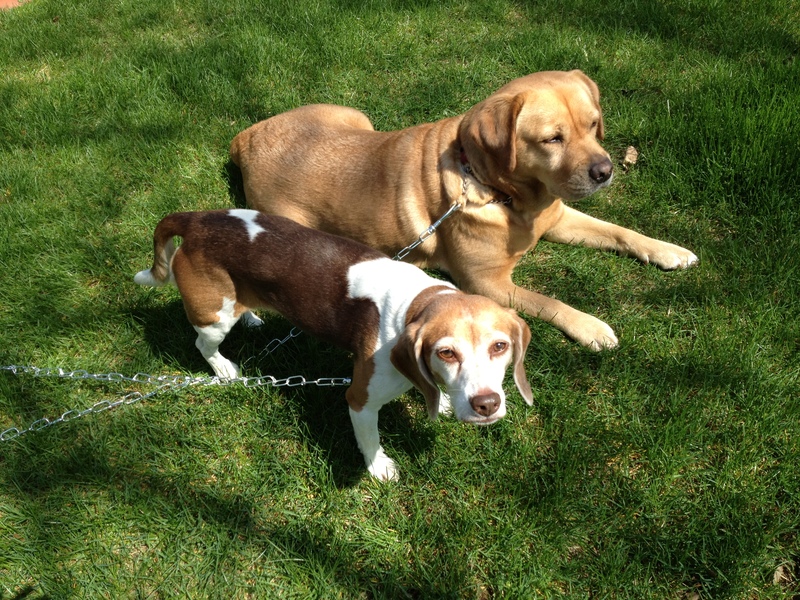 I brought Penny and Kasey out with me, and they lolled on the cool green (but weed-filled) grass, enjoying the bright sunshine and the neighborhood doings as I worked. We’ve reached the point in the summer where all of the fruits of your spring yard work have begun to, well, rot. 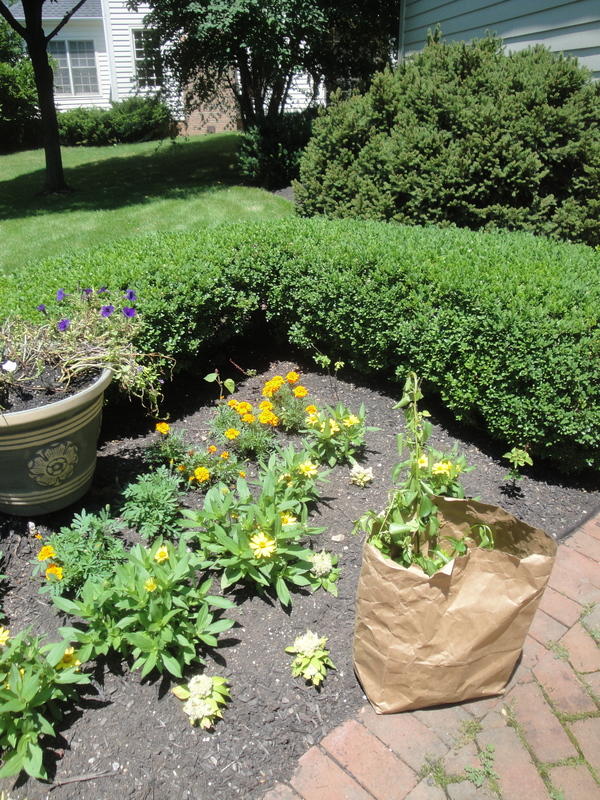 Those loathsome weeds have once again invaded your flower beds. Your shrubs have sprouted stray shoots that make them look as unkempt as Mahmoud Ahmadinejad. Your brickwork looks more like weedwork. Today I decided to tackle those problems. It was a brilliantly sunny, hot summer day. I began by trimming the shrubs and the fast-growing bushes that the neighbors planted to screen their house from ours. Those plants grow at a ridiculous rate and have virtually made it impossible to grow anything in our side yard, so I cut them back. It felt good to use the clipper and, after some liberal pruning, to see the sunshine once again reaching our hostas. Then it was on to weeding and watering the beds — nothing like reliving a bit of your childhood and drinking cold water straight from the hose on a hot day! — and finally to the brickwork on the patio and the front walkway. Some people would hate to waste a beautiful summer day on yard work, but I find it immensely satisfying. For those of us whose jobs often do not involve clear cut success or immediate congratulations on a job well done, yard work allows you to have a sense of prompt accomplishment. You begin with a weedy, somewhat overgrown yard and you end with neat, tidy grounds, well manicured flower beds, dirt-stained hands, and a budding farmer’s tan. After a yard work Saturday, a cold beer sure tastes good.